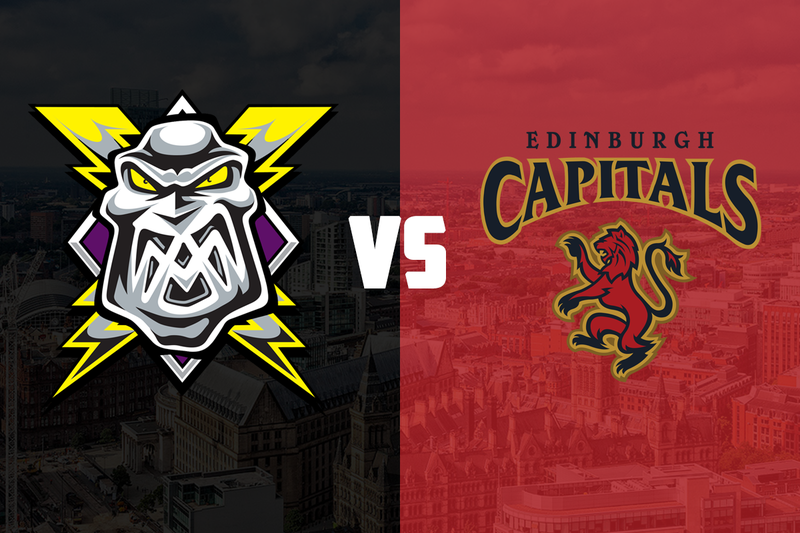 Your Go Goodwins sponsored Manchester Storm are back in Elite League action this Sunday as they travel to Edinburgh to take on the Capitals in a 6:00 pm faceoff. Tight games for both sides in Saturday: Both sides were down by 1 goal in the late stages of their games on Saturday evening, but it was only the Storm who could claw the game back and get any points. Manchester welcomed Dundee to Altrincham and went down 3-0 early before mounting a 2-period comeback. Goals from Pitt, Moffatt, and a late shorthanded marker from Mike Hammond took the game to overtime. 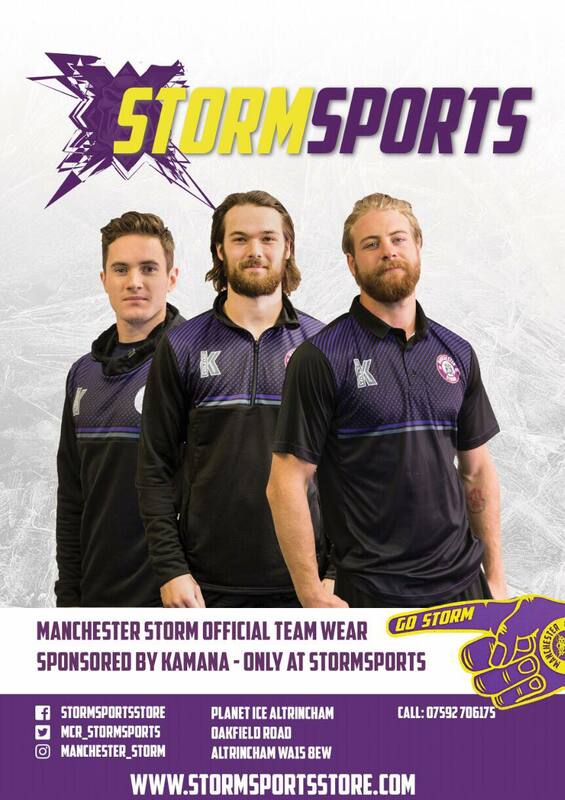 With no further goals in overtime, Ciaran Long was the solitary penalty scorer and Mike Clemente turned away all of Dundee’s penalty shots to grab both points for the Storm. Edinburgh travelled to Braehead and faced the Clan, eventually going down 5-3 thanks to a late empty-net goal. Lawrence, Tvrdon, and Sergei Banashkov had bought the Capitals to within one goal of the Clan with 10 minutes left in the game, but it was not enough to secure any points. Edinburgh look east for recruitment: The Capitals changed their recruitment strategy this summer, starting with signing bench coach, and former NHL All Star, Dimitri Khristich. Khristich signed 6 Russian players, netminder Pavel Shegalo, defencemen Konstantin Teslyukevich and Denis Trakhanov, and forwards Sergei Banashkov, Alexander Islamov, and Igor Valeyev. Joining the Russians is Pavel Vorobyev, who also holds a Russian passport, Rihards Grigors, Julius Nyqvuist, Marek Tvrdon, and Juris Upitis, as well as Canadians Michael D’Orazio, Dylan Andersen, Mike Cazzola, Dillon Lawrence, and Taylor Stefishen. The Capitals also signed a number of young Scottish players, including GB U-20 international Duncan Speirs from Solway Sharks who has impressed already this season. With such a wide range of nationalities in the squad, the Caps took a bit of time to gel early on this season but have been hitting some good form recently. One to watch: Sergei Banashkov has scored a goal in all of the Capitals’ league games this season, including a ‘Michigan’ goal against the Flyers a few weeks ago. Banashkov has also scored 4 goals in 6 Challenge Cup games, and joined Edinburgh after a long career in Kazakhstan. Webcast can be viewed and purchased HERE.